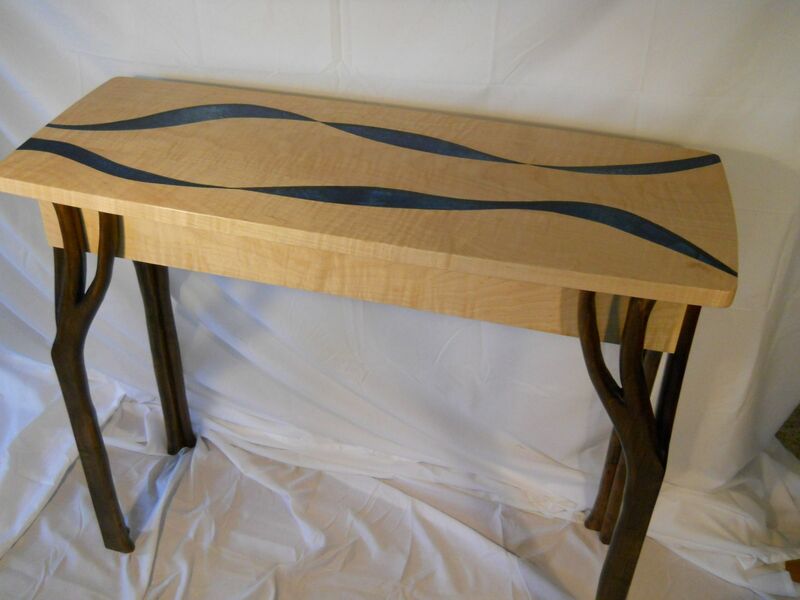 This maple table, 36" x 14", is a perfect for a hall or against a wall. 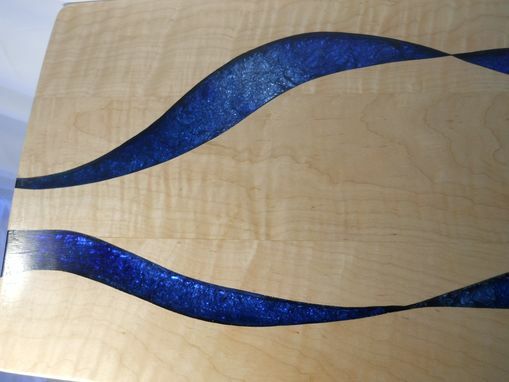 It has two flowing ribbons of catalyzed resin which can be looked into to see beautiful variations of color and texture. Its hand carved legs resemble both tree limbs and deer legs!